A novel technique to estimate non-stationary patterns of noise in parallel MRI data has been published in the journal IEEE Transactions on Pattern Analysis and Machine Intelligence: Non-Stationary Rician Noise Estimation in Parallel MRI using a Single Image: a Variance-Stabilizing Approach. The article is a collaboration of the University of Valladolid with AGH University of Science and Technology (Krakow, Poland), with the Applied Chest Imaging Laboratory (ACIL), Brigham and Women’s Hospital, Harvard Medical School (Boston, USA) and with the Biomedical Image Technologies Laboratory, Universidad Politécnica de Madrid (Spain). 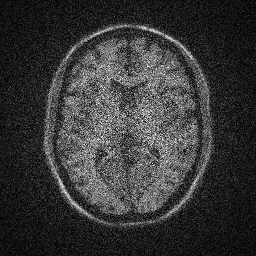 Parallel magnetic resonance imaging (pMRI) techniques have gained a great importance both in research and clinical communities recently since they considerably accelerate the image acquisition process. However, the image reconstruction algorithms needed to correct the subsampling artifacts affect the nature of noise, i.e. it becomes non-stationary. Some methods have been proposed in the literature dealing with the non-stationary noise in pMRI. However, their performance depends on information not usually available such as multiple acquisitions, receiver noise matrices, sensitivity coil profiles, reconstruction coefficients, or even biophysical models of the data. Besides, some methods show an undesirable granular pattern on the estimates as a side effect of local estimation. Finally, some methods make strong assumptions that just hold in the case of high signal-to-noise ratio (SNR), which limits their usability in real scenarios. We propose a new automatic noise estimation technique for non-stationary Rician noise that overcomes the aforementioned drawbacks. Its effectiveness is due to the derivation of a variance-stabilizing transformation designed to deal with any SNR. The method was compared to the main state-of-the-art methods in synthetic and real scenarios. Numerical results confirm the robustness of the method and its better performance for the whole range of SNRs.